Weeds grow in all shapes, forms and sizes, from creeping vines to stately trees. Many weeds began as widely grown garden ornamentals. They escaped into the wild, where their physical adaptations, including thorns, provide a survival advantage. Browsing animals avoid weed with thorns at the expense of their more palatable neighbors. The thorny weeds live to flower and produce seed, often spreading to the point of invasiveness. 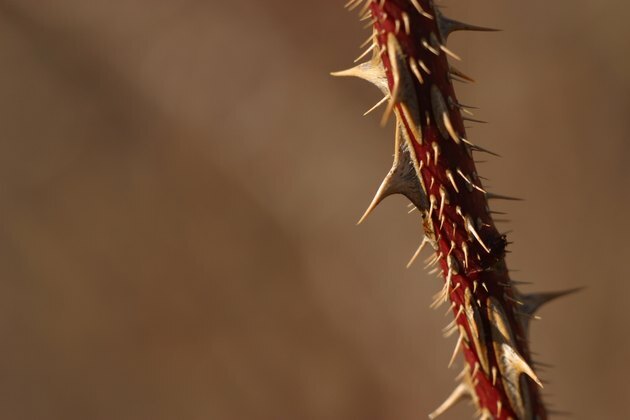 Thorns protect weeds from hungry animals. Yellow starthistle (Centaurea solstitialis), a Mediterranean native, grows in pastures, roadsides and fields across much of the western United States. The 2- to 3-foot annual, has branching stems of downy, lobed green leaves. Bracts topped with ¾-inch thorns enclose its thistlelike, yellow blooms. 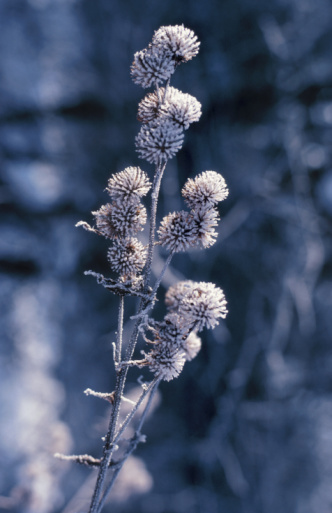 Canada thistle (Cirsium arvense) uses thorny leaves as protection against browsing animals. This 1 1/2- to 4-foot weed arrived from Eurasia in the 1700s. It now invades disturbed soils of prairies, sand dunes, grasslands and fields across the northern United States. The weed's branching, downy stems of thorny-edged, lancelike leaves produce summer clusters of lavender, pinkish-purple or white summer flowers. Its plumed seeds can survive in the soil for 20 years. American plant breeder Luther Burbank introduced Himalayan blackberry (Rubus armeniacus) as a commercial crop in 1885. Its ornamental features include attractive, compound green leaves, white or pink spring flowers and sweet, large summer berries. Washington State and Oregon, however, now list the thorny-caned, up-to-15-foot shrub as a weed. The shrub spreads across forest floors, shading native tree seedlings that require sunlight to grow. Fragrant, white or pink spring blooms and glossy green foliage made Eastern Asian native multiflora rose (Rosa multiflora) another widely grown 19th-century ornamental. The 10- to 15-foot shrub roots wherever the ends of its thorned canes touch the soil. Thirty-one states had classified it as invasive by early 2006, according to the U.S. Forest Service. Japanese barberry's (Berberis japonica) thorns emerge from the nodes of the 2- to 3-foot shrub's furrowed bark. Its branch-hugging clusters of small, oval green leaves form a backdrop for dainty, yellow spring blooms and red midsummer berries. Considered invasive in 20 states as of 2005, Japanese barberry tolerates wet or well-drained locations and partial sun to shade. Its preferred habitats include woodland edges, roadsides and old fields. Common, or European barberry (B. vulgaris) has arching branches of oval, serrated green leaves and dangling, 1- to 2-inch clusters of yellow spring flowers. 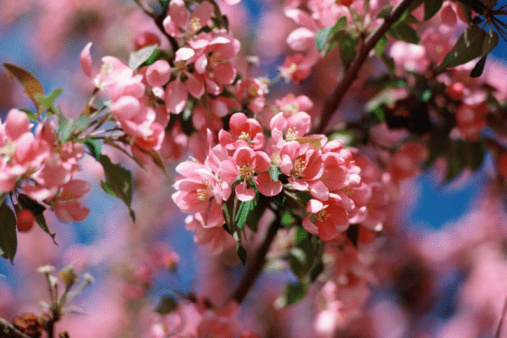 The blooms give way to clumps of red or purple berries. The 8- to 10-foot shrub's foliage conceals three-pronged thorns; more thorns grow from nodes on its gray bark. This barberry thrives in woodlands and thickets across the northern United States. The Forest Service reported it invasive in 18 states as of late 2006.